It is important to consider getting the windows tinted in your offices; not only does this improve privacy but it is also proven to help create a happier and more productive working environment.The temperature management potential alone should be explanation enough as to why you should tint your office windows, as it can help reduce energy bills and ensure that anyone working within has a more comfortable environment to work in. The happier and more comfortable a workforce, the more productive they become; but why should window tinting be limited to simply one function? If money is going to be spent on tinting the office windows, then surely it makes sense to utilise this opportunity to its fullest. If window tinting is something that is in your budget for the year ahead seek out the professionals like SolarGraph Glass Tinting and while discussing ideas, why not consider one of these two curveballs to get something a little extra out of your investment. 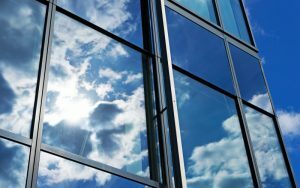 Both internal and external windows are as much a part of any office as the doors, walls, floors, ceilings and furniture, yet outside of the actual shape and ability to open or not, very little consideration is given to how they look. Most people simply accept that there is a piece of glass over there that lets me see out. But if this is the space that people spend so much of their time in, and the space that you use to impress business clients, then why not consider including the windows in your designs. There are various decorative window tints available that will help elevate the windows in your office from simple glass to feature wall or gateway. Different textures of tint can completely change the overall effect and really add a special something to the glass they are applied to. Rather than a simple colour tint, why not shout about your company from the minute people can see your building. Have your company logo or slogan emblazoned across the main windows so that it is impossible for people to ignore. Surround the entrance to your boardroom with messages of positivity and make it clear your company is supporting its staff and clients. Even office doors (or whole offices if they have glass walls) can be customised to suit your business and the occupants of these rooms. It really sends a message of prosperity and success to have such a personalised workspace and this is something that will not be lost on clients. If it comes down to a choice between your business which has bright, airy and well decorated and branded offices, or another company that has a normal office with florescent lighting and a lack of style, which do you suppose will leave the bigger impression on the client.